[post_ads]Abu al-Baraa al-Hamawi, a rebel leader in northern Hama, said a "massacre" had resulted from strikes in western Aleppo on the town of Urem al-Kubra. Pro-opposition television Orient News said at least 20 people were killed there and the Observatory said at least 18 had died. Al-Hamawi said Friday's attacks - the heaviest in months - appeared part of a "psychological media war against the people". Rebels were "ready to repel any possible attack by regime forces. 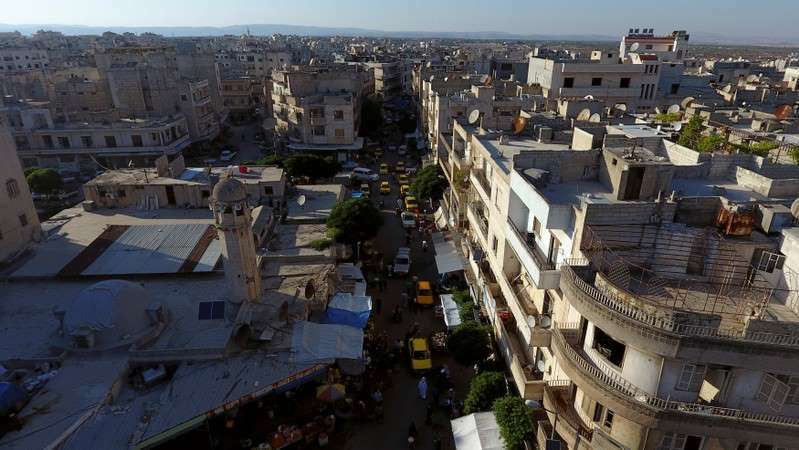 They will be taught a lesson they won't forget: Idlib is different to other regions," he added. Syrian state news agency SANA reported that the Syrian army carried out operations against "terrorist groups", its term for the rebels, in northern Hama countryside, destroying several of their headquarters and killing and wounding an unspecified number. The Observatory said Friday's air strikes were the first to hit the area in almost a month and could be seen as "preparation for an offensive". It has said additional government forces have been arriving this week for a possible attack in an area to the southwest of the opposition territory.